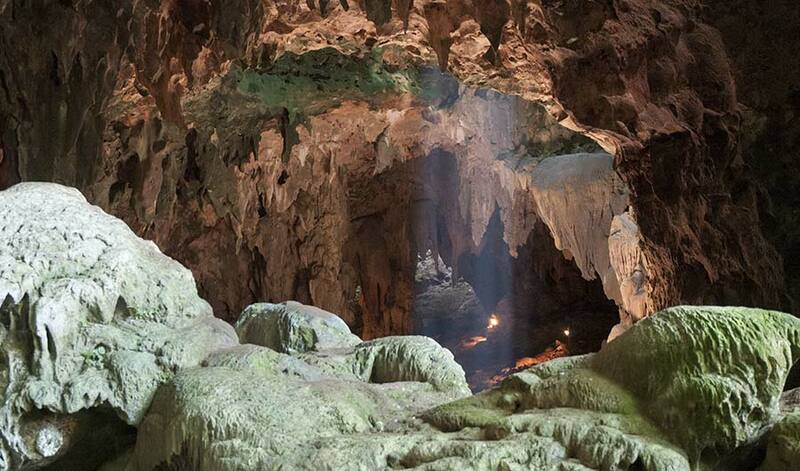 Fossils from 50,000-67,000 years ago represent Homo luzonensis, discovered in a cave on the island of Luzon. (Inside Science) -- In a jungle cave in the Philippines, scientists have discovered fossils of what may be a new human species they call Homo luzonensis. The newfound teeth and bones combine primitive and modern traits in a way never previously seen together in one species, and suggest much remains to be discovered about human evolution outside Africa. Although modern humans, Homo sapiens, are now the only surviving branch of the genus Homo, other species of humans once roamed across Earth. For example, previous research suggested Homo erectus, the most likely ancestor of modern humans, made its way out of Africa by at least 1.8 million years ago. In contrast, modern humans may have only begun dispersing from Africa roughly 200,000 years ago. Fifteen years ago, scientists revealed an unusual extinct human species from the Indonesian island of Flores -- Homo floresiensis, often called "the hobbit" due to its diminutive size, which lived on Earth during the same time as modern humans. This finding hinted that other hominins -- any relatives of modern humans dating from after our ancestors split from those of chimpanzees -- might await discovery in Southeast Asia. In 2010, scientists reported a single 67,000-year-old foot bone that suggested hominins once lived in Callao Cave on Luzon, the largest island in the Philippines. Stone tools and butchered remains of a rhinoceros suggested hominin activity on Luzon dating back at least 709,000 years. New excavations in Callao Cave have unearthed seven teeth, two hand bones, one thigh bone and two more foot bones, which altogether came from at least two adults and one child. The size and shape of the teeth are definitely human, but the fossils possessed features that suggest they do not belong to any other known human lineage. The researchers dubbed the new species Homo luzonensis after the island on which it was found. "In our disciplines, you can never expect to find a new species -- this is a very rare event," said study lead author Florent Détroit, a paleoanthropologist at France's National Museum of Natural History in Paris. Testing revealed that the specimens lived at least 50,000 to 67,000 years ago, during the Late Pleistocene epoch, when the world swung between ice ages and warmer times. "Now knowing there were all these other hominins surviving 50,000 to 100,000 years ago -- Neanderthals and Denisovans, Homo floresiensis and now Homo luzonensis -- reveals how much diversity we've lost," said paleoanthropologist Matthew Tocheri at Lakehead University in Ontario, who did not take part in this research. Homo luzonensis had extraordinarily small adult molars -- "they're close to half the size of adult modern human molars," Tocheri said. The teeth are similar in shape not only to those of Homo sapiens but also to teeth from Homo erectus and Homo floresiensis, Tocheri added. The finger and toe bones are curved, suggesting they were good for climbing. They are extraordinarily similar to ones seen in earlier hominins such as australopiths, the most likely ancestors of humans. "The hand and foot bones look so australopith, you could drop them in a box with Australopithecus afarensis bones 3 million to 4 million years old and you couldn't tell them apart," Tocheri said. "This combination of Homo-like traits with australopith-like hands and feet is the same overall pattern you see with Homo floresiensis, but with a different combination of features." "I have seen the original fossils in the Philippines," said paleoanthropologist Yousuke Kaifu at Japan's National Museum of Nature and Science in Tokyo. "I believe that the designation of a new species is appropriate." The presence of Homo luzonensis on an island suggests its ancestors were seafaring. However, Tocheri suggested the ancestors of Homo luzonensis and Homo floresiensis accidentally rafted to their islands, perhaps on large chunks of mangrove forest torn off coasts during storms. Although it seems unlikely that enough hominins might raft to an island this way at roughly the same time to set up a breeding population, "monkeys did it from Africa to South America," Tocheri said. If it took rare luck for ancient hominins to reach these islands, it might help explain why these island hominins looked so different from other human species. Previous research has shown that a small, isolated population can experience accelerated evolution, Détroit said. The discovery of Homo floresiensis and Homo luzonensis "really exposes how little we know about human evolution in Asia," Tocheri said. "These discoveries are showing what happened there was just as interesting as what occurred in Africa." It remains uncertain who the ancestors of Homo luzonensis and Homo floresiensis were. The most obvious candidate is Homo erectus, fossils of which were discovered in the 1890s on the Indonesian island of Java. However, there are hints Homo erectus was not the only globe-trotting hominin of its time -- last year, stone tools were found in China that were 2.1 million years old, "and there are no known Homo erectus fossils that old," Tocheri noted. In addition, Homo luzonensis and Homo floresiensis share features with earlier hominins "that were thought to have disappeared from our genus Homo 1.5 million to 2 million years ago," he said. Future research may turn up DNA from these island fossils. "DNA preservation in these tropical environments is not good, but it's possible that a scrap of bone you can't even tell as hominin could preserve their DNA perfectly," Tocheri said. "We could learn a lot about ancient hominins this way." The scientists detailed their findings this week in the journal Nature. Was Stonehenge Inspired by the Prehistoric French?